When choosing a doctor, it is important to know that a facial plastic surgeon is well-trained and experienced. Dr. Sepehr’s laurels include his unsurpassed knowledge and skilled hands. Further research will serve to convince you of his merits and value to you. From surgical procedures like facelift and rhinoplasty to minimally invasive treatments such as BOTOX® Cosmetic and laser skin resurfacing, Dr. Ali Sepehr is committed to providing his patients with the highest level of expertise and quality in the discipline of facial plastic surgery. Dr. Sepehr is internationally recognized for his expertise in the surgical and non-surgical management of the face and has earned the respect of his colleagues and patients for always achieving a natural appearance. Dr. Sepehr is distinguished from others in his belief that in order to achieve high-quality results, it is important to focus only on one field of surgery. Therefore, he focused his entire surgical training on the face, knows its every detail, and focuses his private practice exclusively on facial plastic surgery. Thus, he is able to visualize the best solutions for his patients’ concerns, a quality that can foster greater confidence and peace-of-mind. Dr. Sepehr is also differentiated by his double board certification. 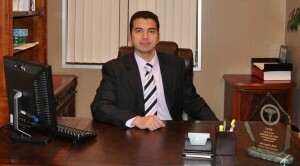 He is one of a select few fellowship-trained facial plastic surgeons. He completed the prestigious Fellowship in Facial Plastic and Reconstructive Surgery during the highly sought-after program at the University of Toronto. During this fellowship, his entire experience focused on plastic surgery of the face. As an expert in his field, Dr. Sepehr has taught fellow surgeons the techniques of facial plastic surgery. He is a member of the American Academy of Facial Plastic and Reconstructive Surgery. Dr. Sepehr is active in the study, research, and scientific advancement of facial plastic surgery. He has authored numerous chapters in textbooks, as well as written scientific papers in various facial plastic surgery journals. Outside of his private practice, he continues to teach fellows, residents, and medical students from the University of California Irvine Medical Center. Another one of Dr. Sepehr’s distinctions is his up-to-date knowledge on the current techniques and state-of-the-art technology available today. As new cosmetic and reconstructive technologies emerge, Dr. Sepehr consistently uses prudence and good judgment as well as solid clinical studies to guide his choices and the introduction of cutting-edge procedures into his practice. This commitment to implementing only the very best of today’s technologies sets him apart and assures every patient of a personally tailored facial rejuvenation experience that is safe and effective. This outcome is created by a professional who combines the skills of a facial plastic surgeon and the eye of a superb facial artist to foster excellence in a field where a refined artistic sense is essential. Artistry is central to the specialty of facial plastic surgery. The surgeon must first visualize the desired outcome and then create it. Feeling confident in your surgeon’s ability to achieve your aesthetic goals is critical to the quality of your results, especially with regard to enhancement of the complex facial framework. While both plastic surgeons and facial plastic surgeons are trained in the improvement, as well as the reparation, of external and internal body structures, plastic surgeons often have different levels of experience working with the intricate structures of the face. Furthermore, a plastic surgeon may offer facial procedures, but in general, the focus of their training is not usually dedicated to facial plastic surgery exclusively. More often than not, selecting a facial plastic surgeon to perform your treatment is the best way to ensure you are in the hands of a facial specialist who is highly experienced working with the anatomy and aesthetics of the face. To be considered a “facial plastic surgeon,” one must complete comprehensive otolaryngological (procedures of the head and neck) training beyond general and plastic surgery, a concentration that may not be as extensively practiced or explored in the instruction of plastic surgeons. With a facial plastic surgeon whose career and expertise is solely encompassed by surgical and non-surgical cosmetic enhancement of the face and neck, you can feel confident that you are receiving the highest standard of skill, knowledge, and safety during surgery— expertise that you deserve in your aesthetic enhancement. Why is Board-Certification Important for Facial Plastic Surgeons? The choice to pursue facial plastic surgery is a transformative decision that can positively impact your life, self-confidence, and well-being. When considering whether or not to undergo cosmetic facial enhancement, it is essential to entrust your care with a surgeon who is well-equipped to make your cosmetic goals a reality while personalizing the procedure to address your unique needs. This aptitude can often be gauged from a plastic surgeon’s board-certification. Generally speaking, after completing plastic surgery residencies, facial plastic surgeons have the option of earning board-certification from the American Board of Facial Plastic and Reconstructive Surgery (ABFPRS). Certification is achieved by completing rigorous written and practical training requirements in otolaryngological surgery beyond the minimum required to legally practice. With this in mind, accreditation can demonstrate a higher level of surgical experience, ongoing education, and commitment to the codes of safety and ethical treatment when compared to those who are not board-certified. Simply put, board-certification can speak volumes about a facial plastic surgeon’s commitment to excellence in their craft, which is a quality that can be vital to achieving the aesthetic outcome you desire. Select a board-certified facial plastic surgeon. Make sure the person performing your procedure specializes in aesthetic facial procedures and maintains a distinguished level of expertise in their surgical training. Explore before-and-after photos. Familiarize yourself with a prospective surgeon’s previous work and determine whether the results achieved align with your expectations for the outcome of your treatment. Read patient reviews. The final outcome of surgery is important, but you also want to be sure that your entire treatment experience is characterized by professionalism, comfort, and compassionate care. Look at online patient reviews from a wide range of platforms, such as Google, Facebook, and Realself, to learn whether your prospective surgeon is capable of demonstrating a higher level of patient care. Schedule a consultation. Ultimately, the ability to feel comfortable and confident under your surgeon’s care is the most important factor to consider when pursuing cosmetic surgery. A plastic surgeon consultation can be a valuable opportunity to meet your prospective surgeon, ask them any questions about your treatment of interest, and learn about their credentials in person. Choosing the right facial plastic surgeon for your unique needs may seem daunting, but Dr. Ali Sepehr and our entire team are here to assist you in any way we can. Below, you can read about Dr. Sepehr’s educational background and various achievements. If you have any questions, or if you are ready to schedule a consultation, please contact our practice today. Do you maintain board-certification from the American Board of Facial Plastic and Reconstructive Surgery (ASAPS)? Do you participate in ongoing education courses? Do you specialize in any specific facial plastic surgery procedures? Where do you perform your cosmetic surgeries? How much downtime is associated with my procedure? What technique do you use to perform this surgery? It is our hope that your consultation will serve as an enlightening introduction into our practice and the different treatment options that can help you fulfill your aesthetic desires. Dr. Ali Sepehr and our entire team are here to answer all of your questions or address any concerns that will help you make an informed decision about your health and appearance.